Windows Phone Recovery Tool latest version is released and available to download for free directly from official website of Microsoft. With Windows Recovery Tool latest version 2016 you can reset your windows OS based smartphones like NOKIA, Lumia, HTC one. 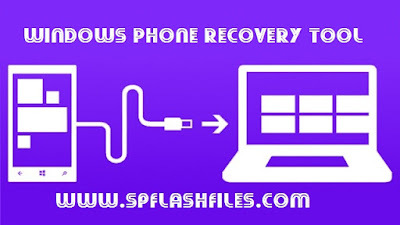 To use Windows Phone Recovery Tool on your Computer download and install it from here http://go.microsoft.com/fwlink/?LinkID=525569 after installing WP Recovery Tool, Run Application and follow instruction to reset your Windows OS based phone. If your are looking to download Nokia Software recory tool for your Lumia Phone,follow this http://go.microsoft.com/fwlink/?LinkID=525568 to start download. With Nokia Software Recovery Tool you can reset your Lumia at home yourself easily. Nokia Software Recovery Tool assists you too install latest version of firmware on your Lumia directly using this PC based Software. It is available to download for free directly from Official website Lumia Smartphone.You can install Nokia Software Recovery Tool on any PC running win XP, Vista Win 7 or 8. Download and enjoy this best Tool. 0 Comment "Windows Phone Recovery Tool Latest Version 2016"